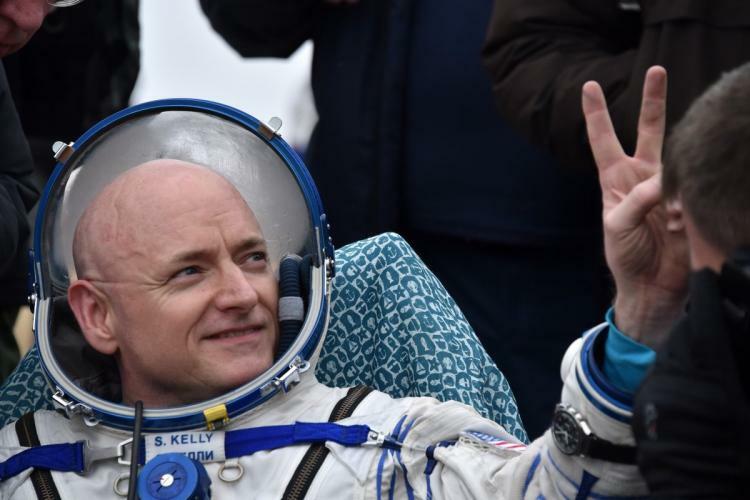 Last year’s documentary on astronaut Scott Kelly’s 12-month stay on the International Space Station, seen as a precursor to an eventual trip to Mars, “A Year in Space” (PBS, 8 p.m., check local listings), gets a followup documentary, about his return and adjustment to Earth life with “Beyond a Year in Space” (PBS, 9 p.m., check local listings). I asked Kelly about his experience — and what he mentions as the space station “smell” — when he stopped by the TV Critics Association summer press tour. “The experience was long, clearly,” Kelly said. “I mean, my previous flight was 159 days, and that felt like a really long time, so this was more than twice as long. “At the same time,” he continued, “I was never climbing the walls to get out of there. I always felt like I had enough work to do and it was important work and I was being productive and utilizing my time appropriately. “But it was hard. It’s hard to live in a place where you can’t leave. You go to sleep; you’re at work. You wake up; you’re at work. You’re most of the time with the same people. They come and go occasionally, and even though you like them, you don’t get to experience any other relationships in person with people, so you miss people on Earth. You miss the weather. You miss freedom of choice. There’s a lot of things you give up to do it. Makes it a hard thing to do, a hard place to live. “But that’s what makes it so great,” Kelly went on. “You do hard things. You come back. You’re successful. No one got hurt, and we all feel very you know, you feel like you really accomplished something. And I think the harder things are, the more sense of accomplishment you feel, and I felt, in this case, the smells didn’t outweigh the experience, because the smell is not that bad, to go to your first question. “People focus on the smell of the space station. I describe it as a combination of antiseptic cleaner smell and garbage, sometimes body odor, but not entirely unpleasant, but definitely a unique smell of the antiseptic smell, which I think could be strictly from off gassing of materials on the space station. I tried to joke with him about the human tendency to, say, blame the dog for any bad smells, asking if he wasn’t just blaming the objects for the odor. He was a scientist. He wasn’t biting.